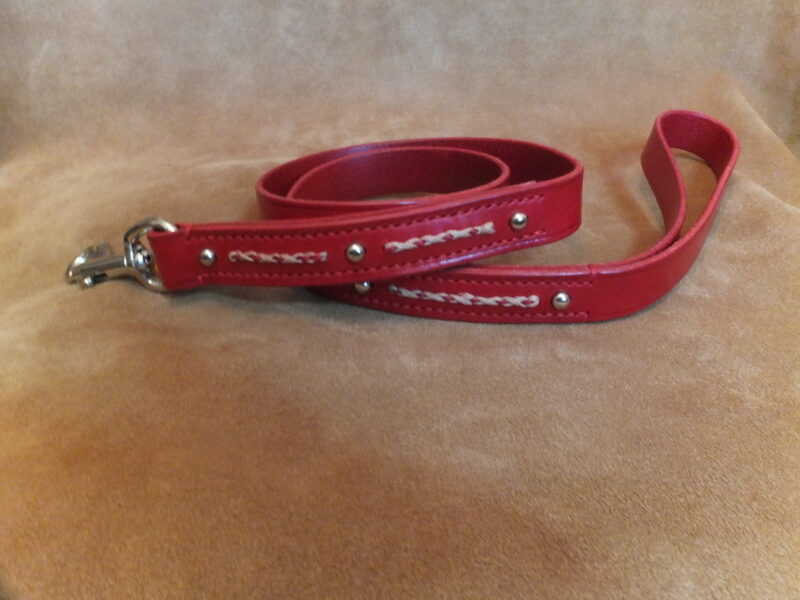 Stitched and studded leather lead made in Italian leather. This lead is 19mm in width and 91cm long. The lead in the picture is the item you purchase.